Local fishing guides consider the lower West Branch of the Ausable River along the border of the towns of Jay and Wilmington, some of the most significant brook trout habitat in the Ausable system. 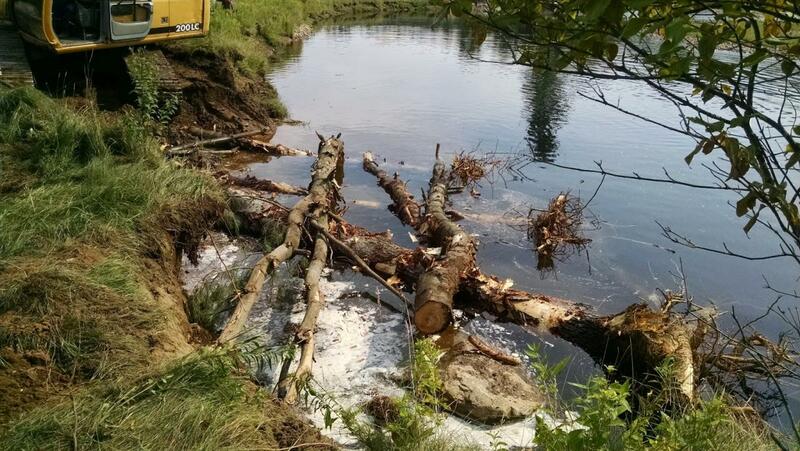 This section of the river has suffered from severe and increasing erosion, leading to a decline in habitat that supports trout and the myriad other aquatic species native to a healthy Ausable River. 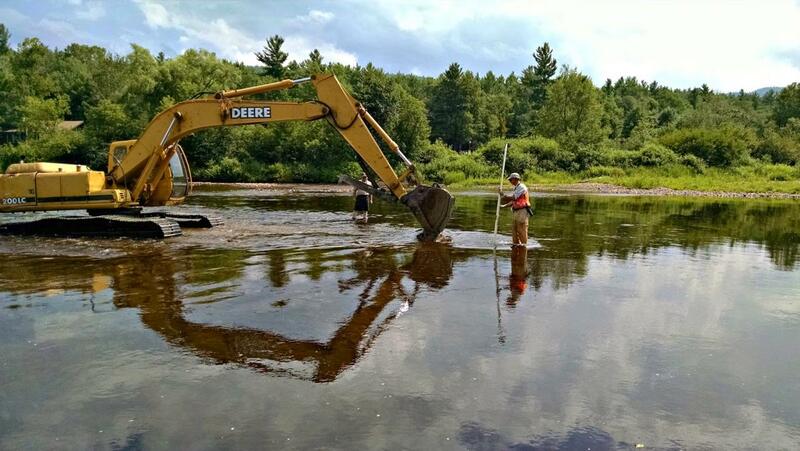 In August 2014, the Ausable River Association (AsRA) and our stream channel restoration partners - the US Fish and Wildlife Service (FWS), Trout Unlimited (TU), Essex County Soil and Water Conservation District, and the NYS Department of State – worked with one private landowner to bring back this section of the river. 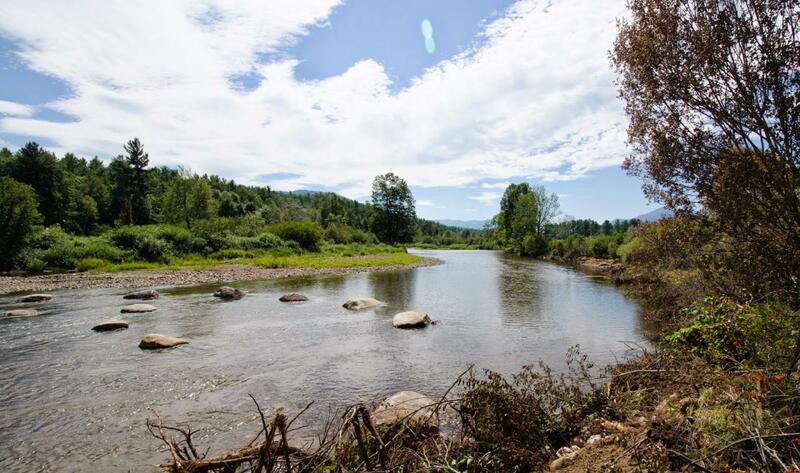 We focused on two pools prioritized by the Ausable River Watershed Management Plan. 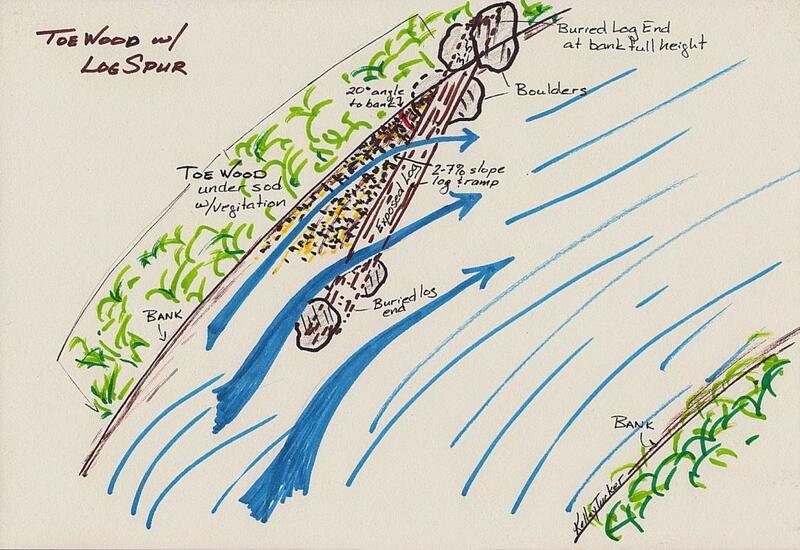 Long stretches of eroding bank alongside each pool had been depositing sandy soils into the river, filling the pools, altering stream flows, and choking spawning and feeding grounds. Our work restored the natural dimension, pattern, roughness, and slope of the stream in that reach, and stabilized the banks at heights that would allow the river to make full use of its floodplain. An annotated Google Map shows the two work areas. Stream flow is from bottom to top of image. 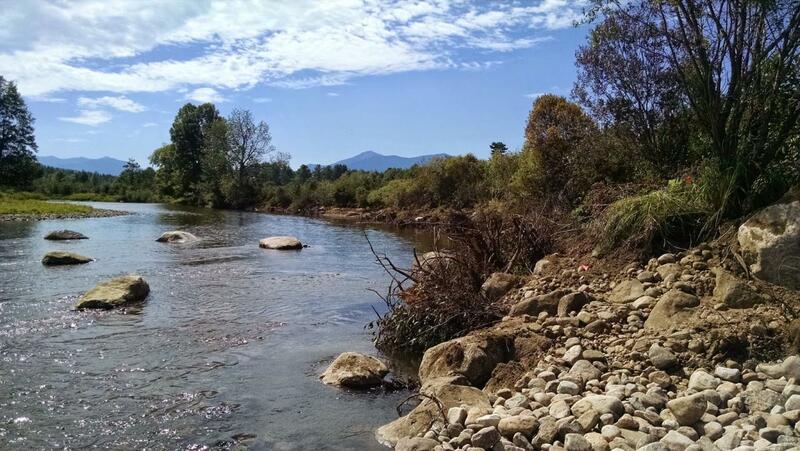 The goal of each project was to improve in-stream conditions for trout and other aquatic species by reducing erosion, increasing habitat, and improving water flow and hydrologic function. Geomorphic stream surveys and measurements donated by TU created the scientific baseline for natural channel design development donated by FWS staff. AsRA led the project through permit evaluation and coordinated with the landowner who provided materials and manpower for construction. The FWS provided construction supervision and the other partners were on site working as needed with the landowner, their machine operators, and crew. The projects included two years of work from initial planning, design, surveys, permitting, through construction. Replanting a riparian buffer continued in 2015. Using only natural materials obtained on-site – boulders, cobble, and mature trees with their root wads – the banks were built out using toe-wood structures to narrow the stream, recreate bank floodplain features, and create bank edge habitat. An accumulation of sediment mid-stream was cut, helping to reestablish reach slope and the riffle-run-pool-glide structure. Log vanes were added to protect the pools as well as the new bank. Most of this work is submerged leaving a sloping network of roots and rock at water's edge. The structures roughen and slow the stream flow, moving it to river center and providing a dense network of habitat for trout and aquatic species. The entire reach is healthier, the riffle extended, the pools are resilient, and the banks are capable of managing high flows. Mature willows and alders have been replanted on the bank starting the development of a thick streamside cover that provides cooling shade, streamside habitat, and helps manage and absorb flood water. Natural stream restoration projects provide benefits up and downstream; they repair the river's hydrologic function, improve water quality, restore critical habitat for fish and other wildlife, and build community flood resilience. 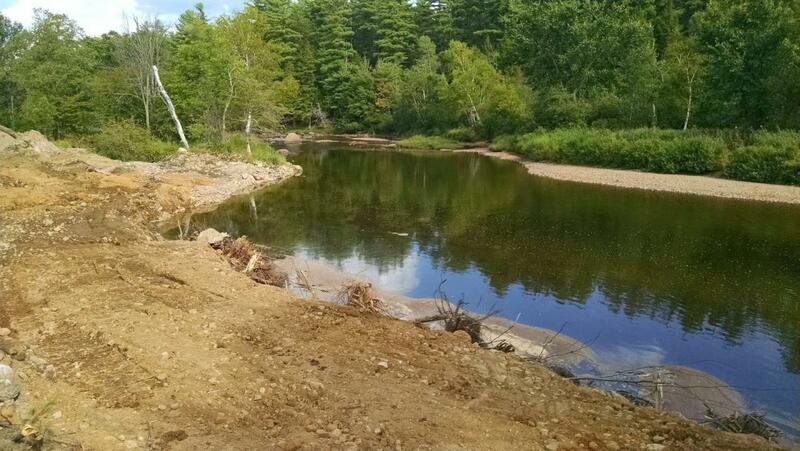 On private lands with adjacent public lands and fishing right-of-ways, these improvements provide direct benefits to those who love and use the Ausable. Work like this is impossible without the cooperation of many partners and the interest and involvement of the landowner. We are indebted to the great team of landowner, landowner representatives and their paid employees, staff from the cooperating permit agencies, NYS Department of State, and, of course, Trout Unlimited, and the US Fish and Wildlife Service. 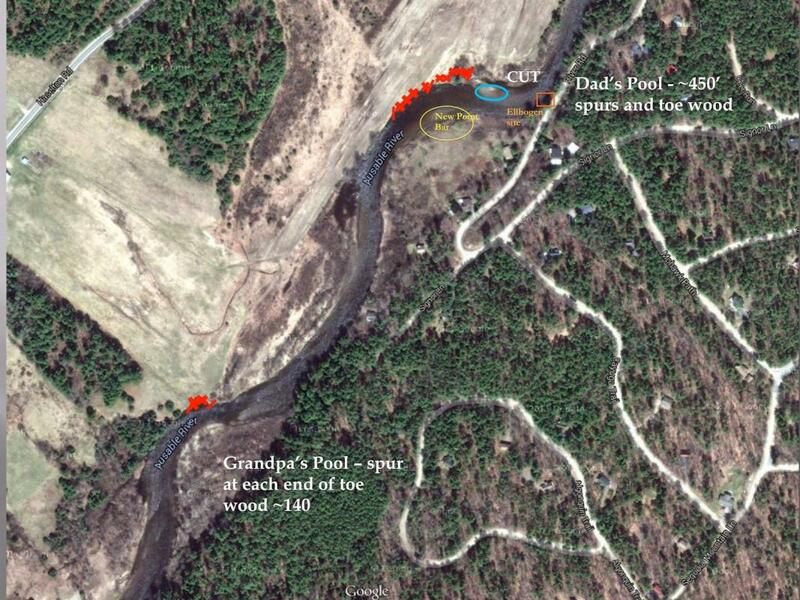 These two pools are listed as high priority restoration sites in the Ausable River Watershed Management Plan prepared by the Ausable River Association for the NY Department of State with funds provided under Title 11 of the Environmental Protection Fund. 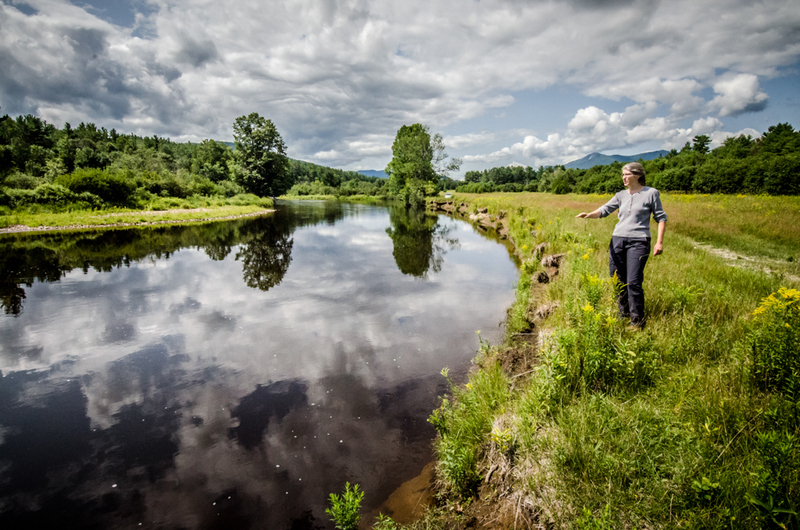 Kelley Tucker is Executive Director of the Ausable River Association and leads natural channel design projects on the river and its tributaries. Kelley has worked in the non-profit conservation field for more than 20 years developing and leading science-based regional, national, and international efforts to protect birds, other wildlife, and the ecosystems that support them. She lives in Upper Jay with her husband and two very fine cats and rides her horse through the lands in and around the Jay and Sentinel Mountain Wilderness.